The premise of the new oddball drama from Finland, THEO'S HOUSE, which is having its world theatrical premiere here in New York City, is a good one: an architect experiencing big-time guilt over having sold out his principles regarding art, life and just about everything else (except money) to build a series of awful block-like buildings in Finland during the 1960s that look about as ugly as do any of these what-do-we-do-with-our-poor? projects you can find almost anywhere around the world. Making obeisance to the likes of Le Corbusier while creating sub-par replicas of "modern" design, our man and his business partner (who seems to have little trouble with either the building or the guilt) now stand worlds apart regarding their earlier creations. The discussions the film offers about architecture and design and their uses for and by humanity are fascinating, all the more so because we see and hear so little of this kind of talk in cinema. At times the film has an almost documentary quality, even -- maybe especially -- when it is flashing back to earlier decades when this architectural twosome were at their creative heights, and even earlier to when our "hero" was a child and had one of those epiphanies that has remained with him ever since. As written and directed by Rax Rinnekangas (shown at right), a filmmaker evidently quite well known in Finland, Theo's House is a lovely movie to observe. Its leisurely pace allows plenty of time to take in the mostly gorgeous countryside and elegant, you'll-want-to-live-there hotel in which much of the film takes place. However, this movie is anything but a documentary. It is, in fact, a kind of romantic fantasy that I'm afraid the filmmaker means for us to take as some kind of gospel. 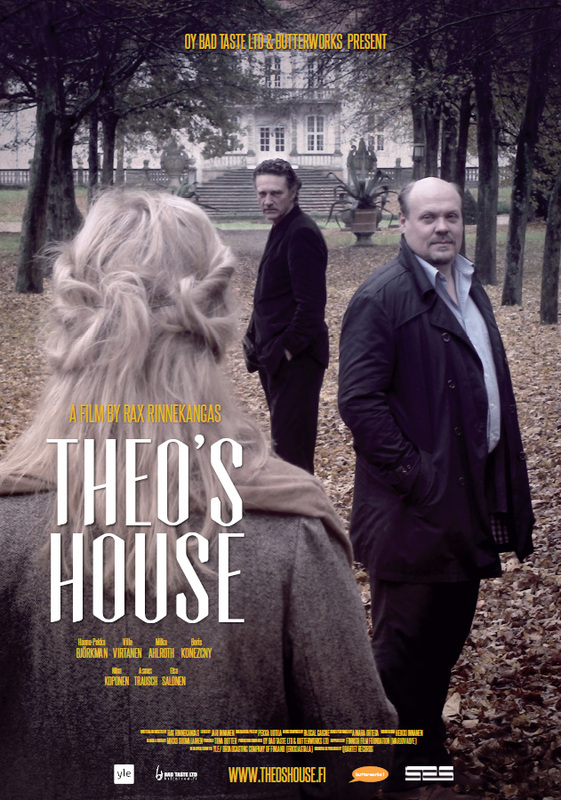 Theo, you see, in an act that combines penance and wish-fulfillment, has decided to build a house that will incorporate everything good about life and love and architecture, and in it he hopes will live himself and the woman who was the young girl he seems to have fallen in love with way back when. 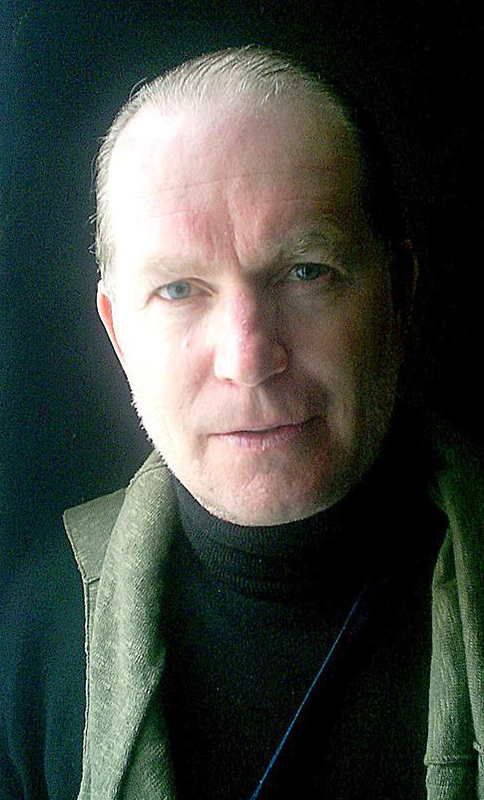 As played by actor Hannu-Pekka Björkman (shown above and below), Theo is rather a portly sweetheart of a guy, wracked by guilt and wafted aloft by faded memories of his one-time maybe love, Clara. (Though Clara herself may be ignorant or even indifferent to all this). Yet on he goes, drawing up plans for the house, at the same time as he imagines an extended visit from his ex-partner, engages in conversation with the hotel's groundskeeper, and observes the self-inflictedly mute maid from the former East Germany who feels betrayed by her country's reunification with the west. She, it is pointed out, grew up in exactly the kind of housing that the two partners designed for their own homeland. That groundskeeper turns out to have been a famous German stage director, whose idolized wife is now dead, and whose spirit he now spends his days mourning, so this brings us some discussion of theater and life, as well as death and the afterlife. The verbal discussions in the film are generally pointed and interesting, and the visuals are often magnificent. But because this is all leading up to a finale that would not be out of place in the latest, low-end rom-com, I'm afraid that Theo's House comes to pretty much naught. Though getting there, I admit, has been generally bracing and beautiful. The movie, distributed by the production company, Bad Taste Ltd and Butterworks, opens this Friday, December 12, at New York City's Quad Cinema. No other venues here in the USA are currently on the horizon, though the film is expected to be released in Finland this coming February.